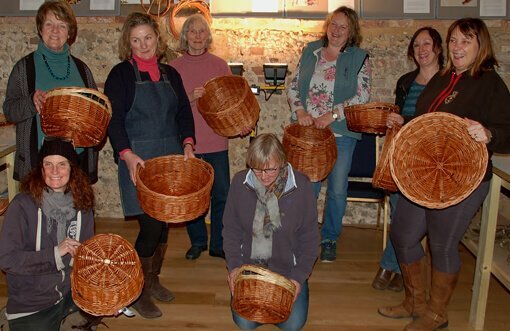 This four session evening course will take you through the process of making a round bottomed willow basket with finger handles. With patient, friendly and experienced teaching from Mollie Butters, we will use buff and white willow to produce a beautiful basket with many practical uses. We will guide you through the process of making your base, framework, creating the handle holes and finishing with the border. 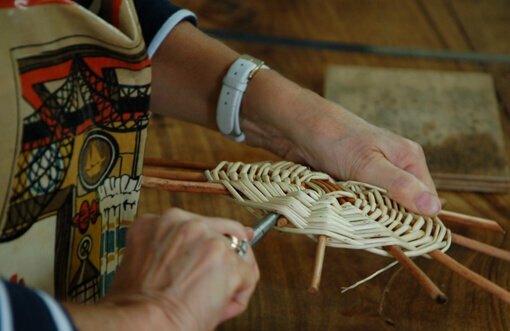 Weaving techniques will include waling, French and English randing. Some willow craft skills would be beneficial, this basket requires a certain amount of manual strength and dexterity. Basket making requires a certain amount of strength and manual dexterity but this evening class provides enough time and space to start developing the skills of the craft. Biscuits together with hot and cold drinks will be available throughout the evening to keep you fuelled up!